Multi-Level Marketing VS Affiliate Marketing - Who is the Winner? →Multi-Level Marketing VS Affiliate Marketing – Who is the Winner? Multi-Level Marketing (MLM) and Affiliate Marketing are 2 of the most popular ways to make money online because the good thing about these two is that you don't need any prior experience to get started. As you can see from the name of my website Smart "Affiliate" Success, you can say that I'm biased here. The truth is that I'm going to tell you Affiliate Marketing is the winner in my opinion. And it is not just "better" than MLM, it is "superior". For me, I don't even waste my time thinking about MLM. But I promise you that I'll give you extremely compelling reasons to justify my claim. Is that okay? And by the way, I have experience for both. I'm not recommending affiliate marketing just because I want to promote my affiliate marketing products, programs or whatsoever. I'm recommending it because I truly believe it is so much better than MLM from my experience! So let's get started from the basic: What are they? Does MLM = Pyramid Scheme? 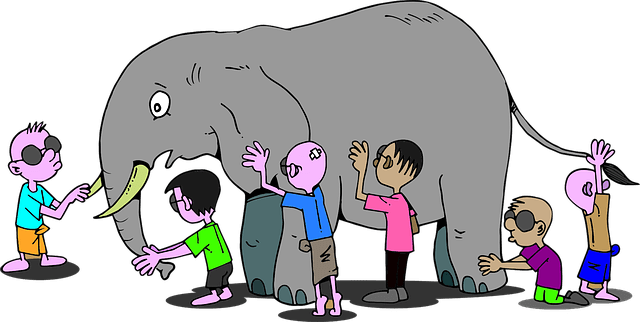 #6 "The Blind Leading the Blind"
Beware of Multi-Tier Affiliate Marketing! 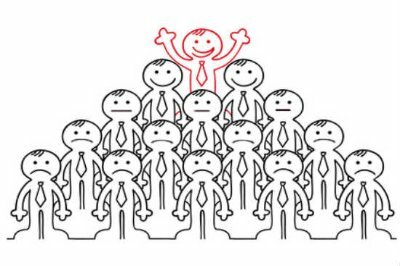 Who is Suitable for MLM? 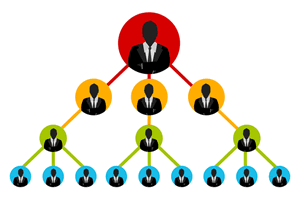 Multi-Level Marketing (MLM) is also known as Network Marketing. These two terms are basically the same thing. To explain MLM in layman's term, it's kinda like joining a sales team in a company to help promote the company's products. In other words, you're the salesperson of the company. The only difference is that you can also act as one of the recruiter in their Human Resource Department. You can make money by recruiting people into the company under you. These are called your "downlines". At the same time, your downlines can also do the exact same thing as you do - sell company's products and recruit people. The incentive for recruiting people is because you'll earn commission for the sales made by your downlines as well. I'm sure you've probably heard of the term called "Pyramid Scheme". So what's the difference between a MLM and a Pyramid Scheme? MLM is similar to a pyramid scheme yet it is different. MLM is a legitimate business while pyramid scheme is illegal. If the only way for someone to make money from the company is by recruiting people, it is a pyramid scheme. On the other hand, there are real and legit products and services for you to promote in a MLM business. So, if there are real products and services, it forms a "healthy pyramid". If there's no products or services, it becomes an "illegal pyramid". However, you should beware of companies that are pyramid scheme in disguise. What this means is that they are operating like a MLM but in reality it is a pyramid scheme. 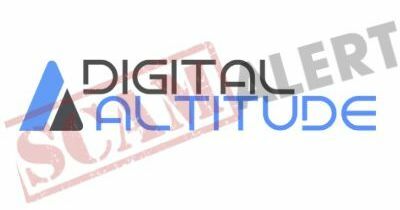 Digital Altitude is an example of a pyramid scheme in disguise. On the surface, it seems to offer quality training about internet marketing. However, all the things they taught centered around promoting their own memberships. They are not offering any other products or services other than the training & system to recruit more members. In fact, they have been involved in a lawsuit since the end of January 2018 because FTC has sued them for being a pyramid scheme. 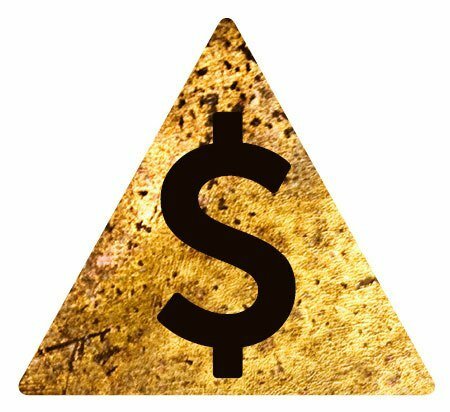 On the other hand, Wealthy Affiliate critics may claim that WA is a scam or a pyramid scheme because WA members always bash other products just to promote WA membership. Well, if you believe in this as well, you will like to check out this post. Wealthy Affiliate is not even a MLM. WA has its own affiliate program but it doesn't have a multi-level structure. It is not a pyramid scheme as well because its main focus is on helping people create their own niche websites in any market. Promoting WA membership as an affiliate is just one of the ways to make money. It's not the only way or even the recommended way within WA. They still recommend beginners to start with their own niche website first. Now, you might be thinking isn't that the same as MLM where you sell the company's products? Customers find your site through search and if they decide to purchase anything through your affiliate link, you earn commission. There are no sponsors or downlines involved in affiliate marketing. You're not a salesperson of any particular company. All you do is to offer value in the niche of your choice and help buyers make informed purchasing decisions. Have you had the experience of someone asking you what's the best restaurant in your area that you recommend? Or someone asking you about where did you buy your nice-looking shoes? What will you do when someone asks you this kind of questions? You tell them the answer, point them to the right direction or offer them your recommendation, right? Did you get paid for recommending your favorite restaurant to your friend? Probably not. But in affiliate marketing, you're getting paid by recommending the things people are looking for. 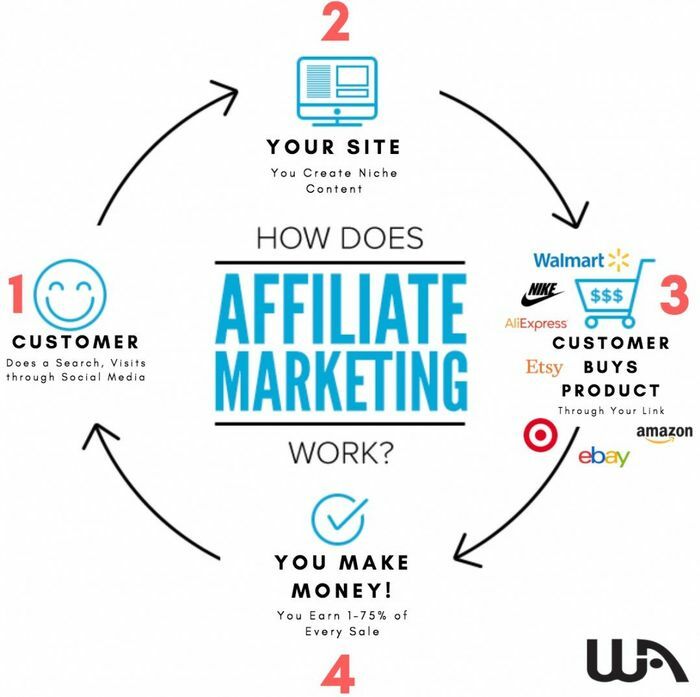 This is a very simple illustration but it's basically how this whole thing of affiliate marketing works! It's undeniable that you can make money from both business models because they are all legit businesses that work, except pyramid scheme of course. The benefit for both MLM & Affiliate Marketing is that you can build multiple sources of passive income streams. Of course, there are lots of hard work and time involved but these are the business models that anyone can leverage on to achieve financial freedom, unlike your regular corporate jobs. Another good thing is that you can start off by doing these part-time while keeping your full-time job. If you consistently put efforts into your business, one day you can live on your passive income and fire your boss! After understanding the similarities, here comes the most important part which is the difference. This is the part I'll explain why affiliate marketing is superior to MLM. The most important step in MLM business is to choose the right company. Many of you may have experienced failures in MLM because you've joined a lousy company with lousy products and system. Have you noticed that you have very limited choice in MLM? You can only promote and sell the products from your company. For example, you're an Associate for a Healthcare & Supplement Company, you can only sell the supplements manufactured by the company. If you're currently working for a MLM company, have you think about the day if touch wood something happen to your company and your company shuts down or something? It means your business is over. You need to start all over again probably with another company. However, in affiliate marketing, you have the freedom to choose any niche you want to go into. If you like gaming, you can sell gaming products. If you like music, you can sell pianos, guitars, etc... and the list goes on and on. Even if one of the product you sell no longer exists, you can still promote other products from other companies. And most of the time you need to personally purchase the products from the company if you're in MLM. But you don't even need to own the products you promote in affiliate marketing. 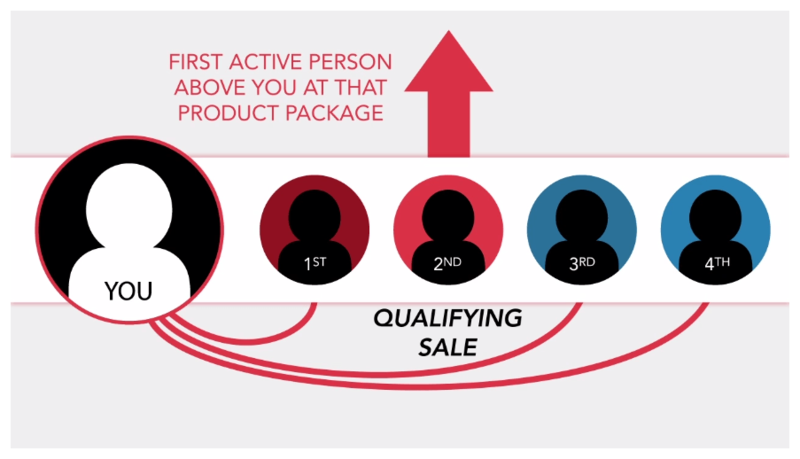 Most of the MLM companies require you to purchase their products or even a membership in order to become their Associates. And you have to keep paying a certain amount of fees every month in order to be qualified for the commission. But in affiliate marketing, you can start your business from as low as ZERO DOLLAR. In Wealthy Affiliate, you can build your own website for FREE in under a couple of minutes. No coding or any prior experience is needed. You'll definitely need to invest some money for things like your own website domain and other tools if you're serious about your affiliate marketing business. But a domain name only costs you like less than $20 PER YEAR. And you cam join any affiliate program or affiliate networks for FREE. This is unlike MLM where you need to pay a fee to join and still pay a monthly fee to be eligible for commission. Like I've explained earlier, you need to keep recruiting people into your team if you want to earn more passive income from your MLM business. And most companies recommend you to start by approaching your friends and family members, right? This often leads to broken friendships and relationships because of your MLM business. Your friends and family members start to avoid seeing you because they don't want you to pitch your business to them. The beauty of affiliate marketing is that NO recruitment is involved. Instead, you're doing "Recommendation". Yes, there are a lot of referral programs lately where you can make money by referring people to join a certain platform or membership. However, everything happens in the online world. You don't have to pitch your friends and family members about it face-to-face and sabotage your own relationships. Some MLM businesses, like Now Lifestyle, are now going from offline to the online world. You can recruit people into your MLM team by using online tools such as My Lead System Pro, so that you don't need to do face-to-face selling. Usually, there will always be some very complicated "compensation plan" for Multi-Level Marketing companies. Basically, compensation plan is the way you get paid in MLM. 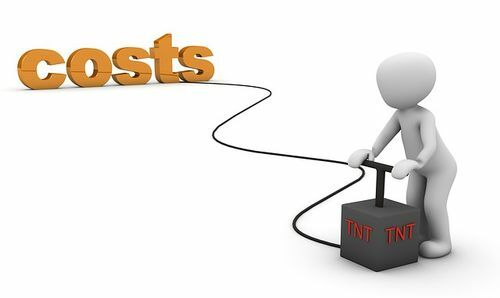 Check out this post and you'll discover all the different confusing compensation plans, such as Matrix Plan, Binary Plan, Unilevel Plan and Stairstep Breakaway Plan. They have many different kinds of bonuses as well. On the other hand, affiliate marketing is very straight forward. All you need to do is to grab your affiliate links from the companies or products you want to promote. When somebody purchases anything through your link, you get paid commission. The commission percentage will depends on each affiliate program you join. It's not confusing at all. In MLM, a part of your earning will depend on your downlines because the amount of commission you earn depends on the sales performance of your donwlines. However, in affiliate marketing, you are in control of your own business. You don't have to train your downlines on how to sell the products or recruit people. This kind of situation can be quite common in some of the MLM companies where the training and resources provided are not comprehensive enough. But at the same time, members are very eager to recruit more members. This then leads to the issue of "the blind leading the blind". People are teaching others on how to sell products when they know very little about sales in the first place. Now, can you see why I highly recommend affiliate marketing over MLM? In fact, with affiliate marketing, I managed to achieve financial independence at the age of 21 without any College degree or working experience. There are a lot of programs out there claiming themselves to be doing affiliate marketing, but in reality they are a MLM business in disguise. This kind of programs are very common nowadays. How does this kind of scammy programs work? Let's take a look at the case study of Easy 1Up. Easy1Up claims themselves to be in the affiliate marketing business because they provide you with your custom affiliate links for you to "recruit" people. However, it has a multi-tier structure where the commission of the second person you refer to join Easy1Up will be passed up to your sponsor. Similarly, commissions from the second referral of your downlines will be passed up to you. So basically, there's an upline and downline relationship being formed. This clearly shows that it is a MLM because affiliate marketing doesn't have such thing as upline or downline. That's not the end. Easy 1Up isn't just a MLM in disguise. It's a pyramid scheme in disguise because all you'll be doing is to recruit more people into the system. They don't offer any other products except their membership levels. What's even worse is that you can only earn commission from the membership levels that you have personally purchased. Recently, I've seen quite a lot of similar programs claiming themselves to be running an affiliate marketing business but in reality it's not. The system may not work exactly the same as Easy1Up but you need to recognize the characteristic that there are multiple tiers in their so-called "affiliate program". Don't fall into this kind of programs anymore! Now we understand all the downsides of MLM but I've mentioned in the beginning that there's one particular group of people who are suitable for MLM. This is just my opinion. I think people who have the natural ability to socialize and network with other people has an advantage in MLM. MLM is also called Network Marketing for a reason. 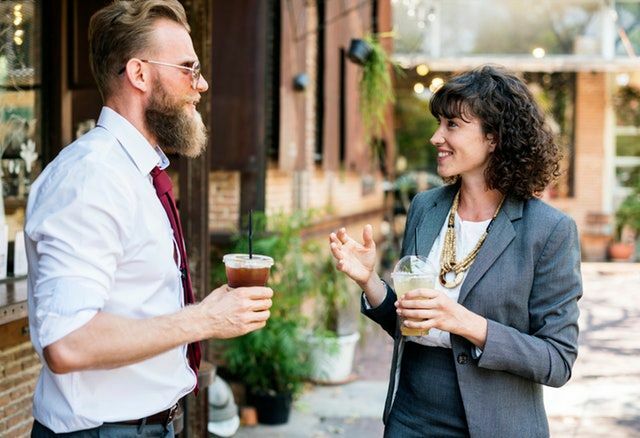 You need to be good at networking with people. For me, I don't feel comfortable meeting new people and making new friends every single day. I prefer to work on my own. If you're like me, affiliate marketing will be very suitable for you because you will be "interacting" with your laptop most of the time. You don't have to do any face-to-face selling because your website will be selling for you 24/7. However, if you're the kind of person who prefer going outside and meeting new people instead of sitting at home all day using your computer, you may find MLM more suitable for you. By the way, I just want to remind you not to be afraid of technology. If you're someone who is not good at computer, it's totally fine. The technology today has enabled anyone to build a website within just a couple of minutes without any technical skills. Before I end off this post, I just want to mention an issue that you'll be facing for both MLM and affiliate marketing. YOU NEED TO BE WILLING TO WORK FOR FREE! What the f**k are you talking about, Jerry?! Before you embark on your journey with any one of these businesses, you need to recognize the fact that you're doing a real business. If you want to reap the huge benefits of enjoying full-time passive income and only work because you choose to, not because you have to, you need to change your mindset. The reality is that you won't be paid for the first few weeks, or even the first few months, sometimes you can only earn a little bit for more than a year. There will be a period of time when you are basically working for FREE. That's when you're building the foundation. 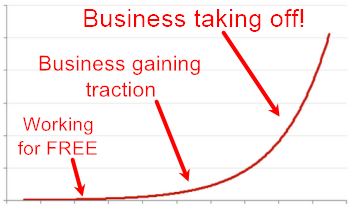 Once your business start to gain some traction, the growth of your business and your income will be exponential. You can be earning nothing for the previous month but start earning a few hundred bucks for the next month. And before you notice, you'll be earning thousands of dollars per month or even per week and per day! How can an extra $2,000 per week help in your life and with your family? If you continue working from paycheck to paycheck, you're not likely going to enjoy that in your life at all. The most crucial factor to succeed and enjoy the lifestyle you desire is to be willing to work for FREE. 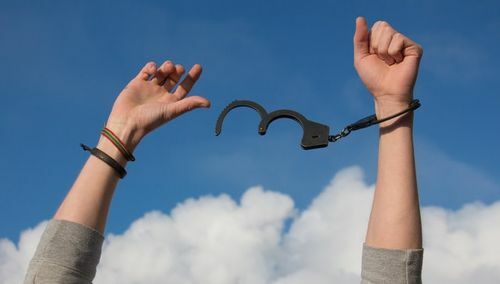 If you can't get rid of that "employee mindset", you're going to live a life without experiencing true freedom. Passive income allows you to work while you sleep or travel. But like I've said, one of the most crucial factors to succeed in life is to be willing to work for FREE! Thanks so much for sharing this excellent article. So far so good explanation. I am so glad I came across this post. Which reputable website would you recommend (with a good review on the Better Business Bureau) to get started with Affiliate program ? Hi Chris, if you want to get started with making money via affiliate marketing, I recommend you to check out Wealthy Affiliate! 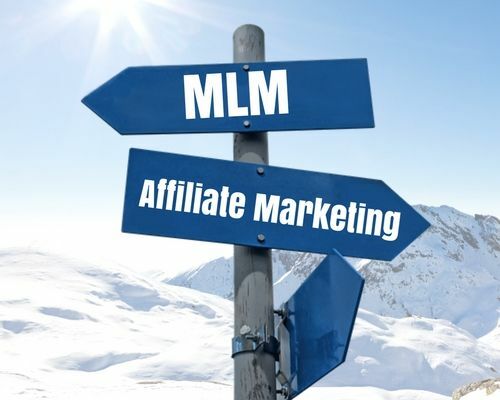 Great post Jerry , You have done very clear comparison between MLM and Affiliate marketing. It’s clear that Affiliate Marketing is always better for longer run. Thankfully, I am in this field since two years ago. I have wasted my 3 years in MLM companies and wasted tons of money. But fortunately, I understood their concept and came out of it. Even Affiliate Marketing requires selling skills. Despite you can get started with Affiliate marketing using a blog but it requires you to have talent to make your visitors into customers. By the way, your blog is impressive to be honest. It has tons of inspiring articles, Jerry. It’s normal to be scammed when we just got started. It’s just learning process. As long as you learn something and move forward, you’re good. We’re all fortunate that we found affiliate marketing and understood the importance of it. Yes, I agree with you that affiliate marketing requires selling skills as well. After all, everything is all about selling. Even in a relationship, you’re trying to sell yourself to the other person. What I believe is that how you sell yourself is more important than how you sell your products. If you can sell yourself, whatever products you’re selling, they can be easily sold automatically because your audience have trust in you. Affiliate marketing is definitely my favorite method to make money online! While both MLM and Affiliate Marketing are legit ways to make money, there’s just more freedom and choice to what you can do with it and how you can do it. I’ve tried MLM a very long time ago and I failed miserably. I lost some money and I never looked back. But I really fell in love with affiliate marketing right when I found out about this concept! Yea I totally agree with you! They’re both legit but one is definitely better than the other. I believe the success rate is much higher for affiliate marketing than for MLM. I tried to run an MLM Business for over 1 Year and did not make any money. I found the training from my mentor was okay for the first 2 weeks. But after that, I couldn’t get much help or support that was needed! Affiliate Marketing sounds like a very interesting Proposal. If I were to join up, what is the Support Structures like and can I get help and advice when I need it? Can you tell me where you purchased your Pop Up? I have not seen any other like it online and liked the design. Thanks for sharing with us your experience regarding the MLM you joined. I believe a lot of people had the same experience like you as well. In affiliate marketing, the support you can get depends on the platform you join as well. But the good thing is you can always switch around different platforms to see which one is the best. Whilst, this is not possible in MLM unless you switch company, right? Wealthy Affiliate is my #1 recommendation if you want to learn and earn from affiliate marketing. It has the best support and community I’ve ever seen so far. You can get help 24/7 so you won’t get lost. As for the pop up, I designed it using Thrive Architect. I didn’t buy it. Thanks for your article, it totally spoke my mind! I have had experience with both MLM and affiliate marketing as well and you totally nailed why I prefer affiliate marketing. The high start up cost almost put me into credit card debt out of college! Plus the constant need to recruit and annoying family and friends just didn’t sit well with me. I didn’t want to be one of those MLM people that were avoided like the plague because they were constantly pushing products down people’s throats. Great to set it out so people know the difference. I would totally recommend affiliate marketing! I can totally understand that feeling. A lot of people went through that before. Only a handful of them actually achieve success with MLM. Those who failed definitely outweigh those you made it. But I believe that’s not the case in affiliate marketing. At least the success rate is much higher. I hope your affiliate marketing business is going well! Jerry, I have been apart of MLM a few times and I believe that it cannot compare with affiliate marketing. I remember one MLM group that I was a part of, both my wife and I spent so much time going to meetings and really trying to build the business. And the hard part is getting people to join and getting them to work after they join because your commission depends on how many people you and your downlines bring. But with affiliate marketing, it is not like that. You work at your own pace. No long meetings even though you may have to put in long hours sometimes as you build your business. The best part is that you can build your business from the comfort of your own home. Affiliate Marketing is definitely much much better than MLM in my opinion! Thanks for sharing with us your experience with MLM. I’m sure a lot of people had the same feeling and experience like you did. MLM started way before Affiliate Marketing and I believe they are here to stay. But with the growth of E-commerce and hence affiliate marketing, the advantage of it just outweigh MLM totally. As I write these comments in another window, your comments link is still spinning so I am unable to leave a comment on your page. (MLM vs affiliate marketing.) I’ve opened other windows on my browser thinking the problem could be on my end. But it’s still going. What do you think might be causing the problem? Other than that, I think you’ve convinced me to sign up to be an affiliate marketer with your company. You’ve hit on the areas that had me concerned and unsure about joining one in the past. That is because of all the blatant and shameless scams I’ve come across in my search for an online business. I think you’ve presented perfectly, exactly why I’ve been hesitating for ages. Thanks for knowing your stuff and explaining it in a very professional and sincere way. I’m not sure what’s the problem but it seems fine now since your comment has went through. Anyway, I’m glad that I’ve addressed all the concerns which are restricting you in the past. I must admit that there are a lot of shameless scams out there. So, it’s normal to be skeptical. You should be skeptical of all the new opportunities presented to you until you’ve done your research. Hi Jerry, I’m so glad that you were able to explain the clear differences between MLM and pyramid scams – oops sorry, schemes. There is much confusion about the two. It’s good to know that scams like Digital Altitude are being brought to task over the illegal practices that they have used to sucker people. Fortunately, we have a watchdog like yourself who is fast becoming recognized as someone who we can rely on to give us all the facts. Thanks a lot for your kind words Brian!